May 31, 2016 (LBO) – Jeffrey Immelt, CEO of General Electric, says the global manufacturer is gearing up for a bold pivot in its globalization strategy. This change is in response to rising protectionist political pressures and distrust of big companies, amid government and global institutions failing to address the world’s challenges. Although innovation has driven growth, it also leads to greater instability, he said, speaking at the New York University’s Stern School of Business. Localization will become a key strategy, he added. We’re in a volatile, global economy – the most uncertain I have ever seen. There is distrust of institutions. Protectionism is rising. Globalization is being attacked as never before. For those looking to succeed, the playbook from the past just won’t cut it. It’s time to pivot, be bold, and not fear criticism. I built my career at GE in a time when productivity, innovation and globalization were the way to win. When I joined the company in 1982, 80 percent of our revenue came from the U.S.
Now, 70 percent of our revenue will be global. We have customers in more than 180 countries. We export over $20 billion worth of goods to the world each year. We have become woven into the global economy. You would think that companies like GE that give people good jobs, make good products, and contribute to their communities would be valued. That governments would try to nurture growth and address big problems like income inequality and unemployment. That global integration would be seen as a force of good and would continue to grow. You would be wrong. Today, big companies are distrusted; governments and global institutions are failing to address the world’s challenges; and globalization is being attacked as never before. This is not just true for the U.S., but everywhere. These sentiments have traction in Europe and Latin America, on both the right and the left. The future of the EU is an open question. Protectionist barriers are rising in Asia and Africa. China is repositioning its economy to be more sustainable and inclusive. The global economy is growing too slowly, and many people feel left behind. Some workers have been displaced by outsourcing, the middle class has been squeezed, and income inequality has risen to unacceptable levels. As technology and globalization race forward, people understandably fear their impact on jobs and incomes, and distrust the motives of companies and government. There are many causes, and business bears some blame. Productivity has slowed to a crawl and capital investment is declining. Financing is more difficult to get, particularly for infrastructure projects. Investment is required for productivity, which in turn, supports higher wages. Part of the fault also lies with technology. Innovation has driven growth but also leads to greater instability. The internet can connect people, but doesn’t necessarily give them jobs. Technology has raised the competitive requirements for companies and people. This exacerbates economic insecurity. Finally, Government is also responsible. In the U.S., regulation has expanded while infrastructure has lagged. Our trade deals are languishing in Congress, and we remain the only developed country in the world without a functioning Export Bank. Our tax code is 30 years old; our immigration system is broken; and a huge structural deficit clouds the future. In the face of this headwind, we are having a raucous Presidential election where every candidate is a protectionist, and globalization is being blamed for unemployment and wage inequality. We will localize. In the future, sustainable growth will require a local capability inside a global footprint. 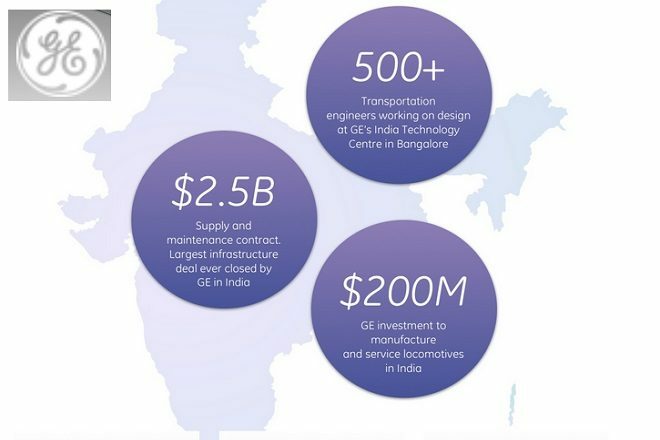 At GE, we will always be a strong American manufacturer, but we also have built factories in China, India, South Africa, Nigeria, Hungary and elsewhere around the world. We are managing extended supply chains. We are not pursuing low wages; we are using a manufacturing strategy to open markets. We will produce for the U.S. in the U.S, but our exports may decline. At the same time, we will localize production in big, end-use markets like Saudi Arabia. Our competitive advantage is digital productivity. When we digitize power plants and hospitals by connecting them to the Industrial Internet, we improve global productivity. In Pakistan, we are using analytics to improve energy efficiency and expanding capacity. In India, we can use the internet to deliver healthcare to remote regions. In China, engine analytics are improving airline productivity. Every industrial company must also be a digital leader. This is the next wave of competitiveness. We accelerate growth by solving local problems. We can make the world work better when we innovate to solve problems with local capability. Our GE technologists around the world have come up with new ways to produce cleaner energy that’s more accessible and to give remote communities access to healthcare. Solutions from the developing world improve outcomes in developed markets. Financing is the new oxygen of global growth. Capital is the fuel for globalization of the future. We have positioned GE to capitalize on investment flows from new sources. China’s “One Belt One Road” initiative is building new relationships in Central Asia, the Middle East and Africa. Most countries are increasing their export financing. We’ve learned how to invest in these countries, access those pools of capital to support export growth. This is critical as we cannot count on the U.S. EXIM Bank. Companies need to globalize on their own and control our destiny. Winning requires simpler organizations. Change requires new business models that are leaner, faster, more decentralized. Complex and centralized bureaucracies are obsolete. GE is pushing capability to local teams who are empowered to take risks without second guessing. By taking these bold actions – by pivoting – I am confident we can continue to grow. One thing I know about globalization is that there will always be plenty of critics. Early in my career, I worried way too much about what people thought. Over time I realized that progress counts for more than perfection and that anything worthwhile takes persistence and resilience. My shield consists of competency, hard work and fairness. I run a meritocracy with the highest standards. Discrimination has no place in business – in the U.S. or anywhere else in the world. Similarly, our factory teams know that, while we cannot guarantee markets, we can guarantee effort; we always play to win. So be flexible, be bold, don’t fear criticism. We are going through a transformational change in globalization, which will require fresh, new thinking. Our goal is to build an economic ecosystem that is the most competitive in the world. To create great jobs through private enterprise and ingenuity. To give back competency and innovation directed at solving the world’s toughest problems. There is nothing elitist, or establishment, about this task. Only by being in the arena can you create work for others. The discord we see in the U.S. today is primarily due to slow growth and the wealth discrepancy it creates. This problem will not be solved by any bureaucracy. It requires leaders who see the world as it is and are willing to drive change.